Director Wes Anderson has a lot of cinematic trademarks that make his movies, well, Wes Anderson movies. There's the whole love of more or less symmetrical shots, for instance. A frame from a Wes Anderson movie is often recognizable as such for this reason alone. He's the writer of all his own movies (with occasional co-writers, of course). In tone, his writing features normal to the point of banal dialogue in unusual circumstances. This is reflected in his movie's art direction; for instance, in The Life Aquatic with Steve Zissou, he filmed parts of the movie on an actual boat at sea, and other parts on a flagrantly obvious sound stage. The thing about doing this is that creating a huge stage and filming at sea are both difficult things to do that also don't really complement each other. He creates comedies, but they are often very dark; at one point in The Grand Budapest Hotel, for instance, an innocent woman's severed head is held up, and the primary emotion felt is relief. Under normal circumstances, the standard critique would be his films are tonally inconsistent, but, as even the sets are at war with themselves, this is obviously on purpose. Also, he is known for violently killing off dogs in his movies. That's a thing he does. Which brings us to Isle of Dogs. There is literally a plot to kill off every dog in the movie. 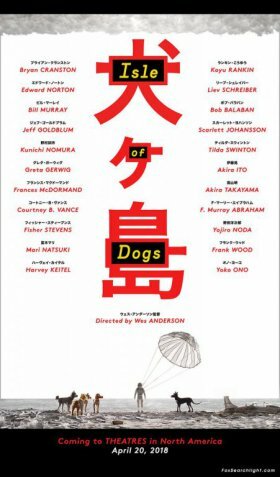 Turns out, Wes Anderson might actually like dogs, however, because that's the villains plot, not the movie's. A pair of trailers came out within hours of each other last week for future furry features; Wes Anderson's Isle of Dogs, a stop-motion animated movie featuring talking dogs, and Peter Rabbit, a live action movie featuring CGI animals who wear clothes in addition to talking. Wes Anderson, the writer/director best known in the furry fandom for his 2009 movie Fantastic Mr. Fox, will be returning to the stop-motion talking animal genre for his next movie Isle of Dogs, whose poster and release date (of April 20, 2018) was announced via Twitter on April 25. The bare bones premise announced so far is that the movie will feature a Japanese boy searching for his lost dog. Though this premise isn't necessarily anthropomorphic, an earlier video posted by Anderson confirmed the dogs will have speaking roles. Though hard to make out, it has also been pointed out that some of the dog characters on the poster also appear to be wearing clothes. The cast for the movie, listed on the poster, has been previously confirmed. It includes many recurring actors in Anderson's movies. Newcomers include Bryan Cranston and Scarlett Johansson, as well as multiple Japanese actors, including Yoko Ono. 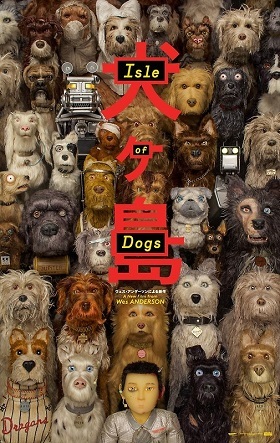 Isle of Dogs will be Anderson's ninth feature, and only his second animated feature, after Fantastic Mr. Fox, which was nominated for an Ursa Major award as well as an Oscar for Best Animated Feature. In addition to the Best Animated Feature Oscar nomination, Anderson has been personally nominated three times for Best Original Screenplay and once for Best Director at the Oscars. All but the latest of his movies have also been added to the prestigious Criterion Collection, and his film Rushmore was added to the National Film Registry last year. 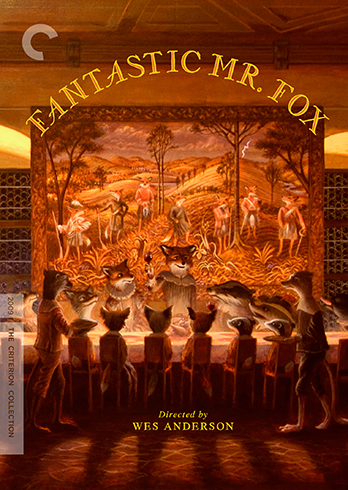 Wes Anderson, best known to furries as the director of 2009's Fantastic Mr. Fox, will be returning to animating animals for his next movie. The movie will be about dogs; at this point, it hasn't been confirmed whether or not they are actually anthropomorphic dogs, but it's a safe assumption. Details are scarce at the moment other than the fact the movie will be stop-motion animated, feature dogs and not be an anthology film (a project Anderson had talked about in earlier interviews, but which is not connected to the dog movie). However, actor Jeff Goldblum has unofficially revealed that he will have a role, as well as Edward Norton, Bob Balaban and Bryan Cranston. If this line-up is confirmed, Cranston would be the only actor to not previously work with Anderson. 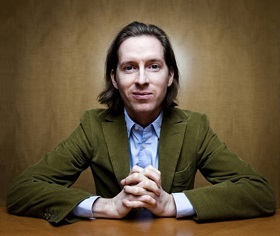 Wes Anderson has spoken about ideas for a possible future animated movie before, but stated that his ideas were, interestingly, "increasingly violent".